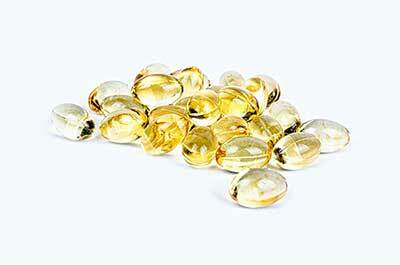 In our office we call cod liver oil “liquid gold,” because it is extremely important in maintaining health. We simply can not get the needed amounts of Omega-3 fatty acids in our diet that our body requires to maintain good health. Therefore we must supplement our diets with this vital substance—that is why Omega-3s are called essential. Omega-3s counter the effects of the inflammatory fats, like Omega-6, -9 and -12, which are common in most diets. Our cells are like balloons. If a cell has Omega-3s in its membrane wall, the cell is flexible like a water balloon—resilient to breakage or damage. A cell lacking Omega 3s is like an air balloon—subject to easily breaking or damage when squeezed. This is called oxidative stress and results in a high turnover of cells. Good health requires cells to be resilient like a water balloon—not an air balloon. When we have cell membranes high in Omega-3s, the skin heals faster, is more flexible and resists cuts and splitting. Our vessels are also more flexible, which helps to prevent stroke from vessels breaking and vessels can absorb the added pressure when blood pressure is elevated. Lack of Omega-3s result in vessels that can easily burst with added pressure. Why is fish oil preferred over flax oil? The absorption of Omega-3 from flax requires an enzyme called Delta-6-desaturated. This enzyme is weak in most people and therefore not highly effective. Fish oil bypasses this enzyme conversion and is therefore instantly beneficial. Cod liver oil makes a great stocking stuffer for the holidays—a healthy gift!